Málaga Airport handled 5.4% more passengers in February and 4.2% more flights than in the same month last year. Almost a million passengers (963,939) passed through on 7,671 flights, according to airport network AENA. The bulk of the passengers moved on commercial flights. Of these, 785,467 travelled on international flights, representing growth of 2.8%, when compared to February 2017. The number of international flights increased by 0.7%. 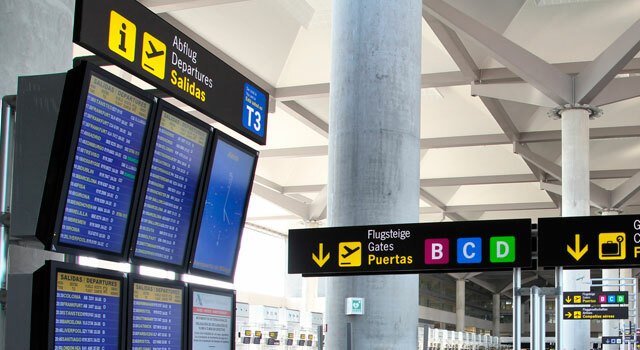 The number of passengers travelling between Spanish airports increased by 16.9% (172,436 passengers), while the number of domestic flights increased by 23.5% (1,831 flights). The UK remained as the main source of international travellers with 257,661 passengers moving between Spain and the UK. Germany (75,025 passengers, 12.9% increase), and the Netherlands (64,782 travellers, 16.9% increase) took second and third places. Sunday, February 18th, was the busiest day at the airport with both the highest number of passengers and the most flights in a single day. Specifically, 44,378 passengers moved on 333 flight operations on that day. February’s growth maintains the positive traffic statistics seen so far this year. In the first two months of 2018, 1,899,094 travellers moved on 15,456 flights. This represents increases of 6.6% and 5.5%, respectively, with respect to the same period of the previous year. The increases are reproduced in both the domestic and international markets. Málaga Airport registered 1,538,142 passengers (+4.2%) between January and February with 10,922 international flights (+1.1%). The number of domestic flights has also increased so far this year with 3,817 flights (+24.5%), and a total of 348,924 passengers were handled (+16.1%). The Costa del Sol continues to attract travellers throughout the year, despite the recent cold, windy and wet weather. These tourist increases, plus the renewed interest in the Spanish property market can only be good news for us all on the coast!